Finance Friday: India registers first ever IDR issue by StanChart – Will Global firms Follow the Suit? In what could be termed as one of the rare notifications – related to the IDR Rules 2004 – passed by the government in as early as 2004, but gets tapped by an overseas company only after 6 years of notification of the law, in 2010 now. 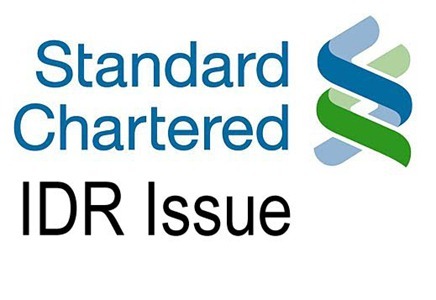 The UK-based Standard Chartered Bank has filed a draft red herring prospectus with the SEBI with plans to raise up to $750 million, in a first of its kind by any overseas company through the sale of Indian Depository Receipts (IDR). The amount to be raised by the company would depend on the market conditions and investor appetite, with a minimum mandate to raise $500 million. The company is likely to issue 22 crore IDRs to raise the said amount ($500-750 million). Under an IDR, a foreign company issues the depository receipts for raising funds from the Indian markets. The company has to file for a draft prospectus with the SEBI. The shares underlying the IDR have to be deposited with an overseas custodian who will hold shares on behalf of a domestic depository. The holders of the IDR will own the underlying shares of the Standard Chartered Bank and trade in them once such depository receipts are listed on the stock exchanges. Until now, Indian companies were actively involved in raising funds through Global Depository Receipts (GDR) and American Depository Receipts (ADR) offerings denominated in foreign currencies. But, this is a first instance that a foreign company is coming to India in order to raise funds from the Indian market through issue of IDRs. The listing of IDR would also enhance the company’s visibility, brand profile and strengthen its presence in India. This first instance of fund raising by the foreign bank could further pave the way for more overseas companies, with increasing fund appetite, to knock the doors of Indian markets through IDR route. The Indian government had notified the rule for the IDR issue way back in 2004. Since foreign companies cannot list its shares in India, IDRs could be a good medium for Indian investors to take part in the story of a foreign company’s growth, desirable to raise funds through IDR route. Eventually, investors can hold shares of the foreign company after certain due date. Will this issue open the flood gates for other foreign companies to follow the suit? Indian BPO markets Back in the Reckoning – Estimated to Grow 25% in 2010 ! Quote your PAN Card Number mandatorily or attract 20% TDS ! Rupee Dollar Fight – Rupee back in limelight ! Brand India is on a roll – The West getting even more interested? Are there any rules for repatriating the money received through an IDR? I.e. does Stan-Chart have to keep the money in India? Not sure what difference $500m will make to Stan-Chart, but in these times, anything is better than nothing! Nice query. As far as I am knowledgeable, StanChart would not have to stay in India. The funds could be raised against a ‘so-called’ security of depository recepits i.e, the equity shares of the company itself. Further, StanChart have to deposit the underlying shares of the IDR with a custodian, who will issue depository receipts based on these shares. So, the funds are raised against a security of sorts in form of the equity shares of the company. As far as the amount raised is concerned, the company has said that more than the fund-raising exercise, the issue is tapped to enhance the company’s brand visibility and presence in the Indian markets. The above comment is directed at ‘atul’. I’ve wrongly quoted it as ‘Arun’ instead of ‘atul’. Error regretted. There are possibilities!! We may see more issues in near future. Until now, India companies were more acquainted with fund raising issues through ADRs and GDRs. But, this (IDR) is a counterpart of such fund raising offerings. It is about foreign companies raising funds from Indian market. Foreign companies cannot get listed in India, as per current set of norms. So, this proves as a hindrance in raising funds through direct equity issuance. But, by way of IDRs it is a unqiue opportunity for global firms who aspire to raise funds via IDRs which ultimately leads to equity rights in the foreign company for the subscribers of such depository receipts. Lets see how many of the overseas companies are willing to tap this route of IDR to raise funds from India. But, this incident will definitely act as a precedent.